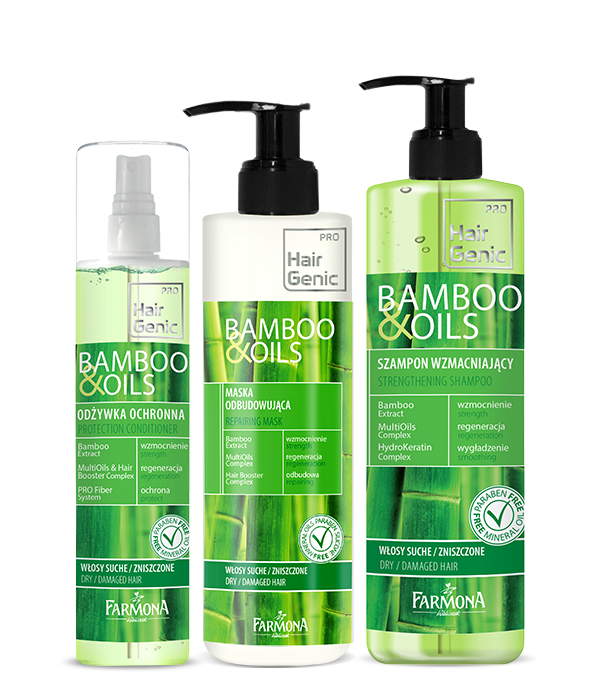 Hair Genic is a modern line of hair care, dedicated to men and women. Precisely developed recipes combine the latest trends in hair care products with unique properties of natural active ingredients. Advanced formula of Hair Genic line are designed not only to take care of the hair, but also to make to their styling easier and more enjoyable. 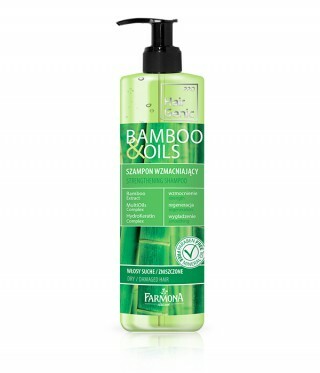 Bamboo & Oils line for dry and damaged hair. The innovative formulations, based on the action of precious oils and the extract of bamboo of strengthening and regenerating properties. Products deeply regenerate, nourish and moisturize hair, rebuild their fibers, strengthen bulbs, increase hair strength and flexibility. 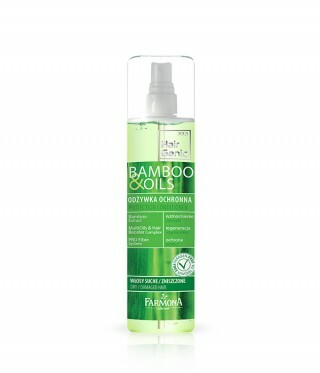 Products from the Bamboo & Oils line are recommended for hair damaged by excessive use of hair dryers, straighteners and curling irons, weakened by colouring and exposed to the negative external factors (UV radiation, wind, salt water, chlorine, air-conditioned room).